Today's necktie is how I picked the rest of the conglomeration. Not any less boring but I thought I'd keep the theme for the week since it's nearly over. The tie is another Jos A. Bank Signature with small navy, blue and gray ovals. So how did it pick the rest of the conglomeration? The dress shirt is a pinpoint navy, blue windowpane with a spread collar. To finish it out I topped it all off with the gray sport coat. How clever, eh? 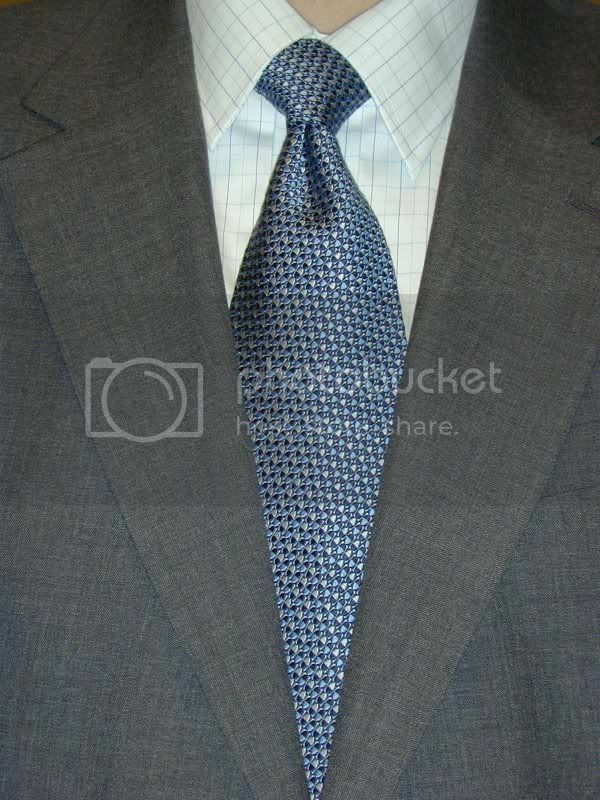 I did mix it up a bit by knotting the tie in a half Windsor.